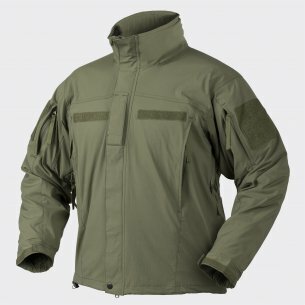 The jackal helikon tactical jacket is waterproof and windproof thanks to the two-layer SharkSkin membrane, which provides a high level of air permeability. In addition, the outer side of the jacket is covered with Teflon, which protects the fabric from contamination. The inside of the jacket is equipped with a fleece that provides good thermal conditions. The fleece jacket dries very quickly, after washing in the washing machine it dries within two hours. What distinguishes the jackal helical tactical jacket? The soft shell jacket is equipped with an innovative QSA quick access system, providing quick, unrestricted access to accessories. The QSA system allows the owner to grab the gun attached to the belt in one move, which will significantly speed up the reaction in adverse situations. In addition, QSA, due to its civilian appearance and comfortable pocket placement, is ideal for tasks performed in the urban environment. The inner bottom of the jacket is reinforced to ensure adequate QSA performance. 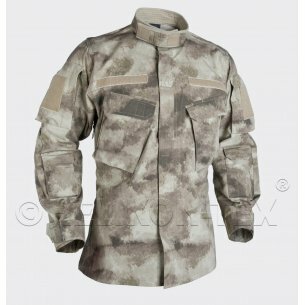 The men's tactical jacket helikon tex jackal differs from other jackets by the presence of the QSA system, which provides quick access to all tactical accessories placed on the belt of trousers. The outer material of the soft shell jacket made of special elastic polyester ensures good thermal insulation while maintaining sufficient air exchange. It also has a DuPont coating that provides protection against water, dirt and oils. In order to remove sweat, the manufacturer used a high-rise collar equipped with a mesh lining made of micropolar. The elbows are reinforced and the cuffs are regulated by Velcro. The jacket closes with a solid zipper and has nine pockets for various functional purposes. 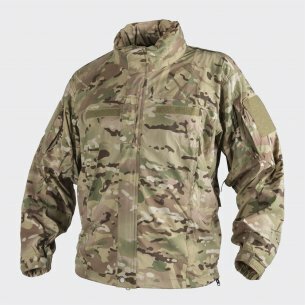 Durable and durable tactical jacket helikon tex jackal protects against wind and rain even in difficult climatic conditions. The main two-layer quick-drying material with Teflon coating is extremely functional and provides ventilation even at high levels of activity. Soft fleece and mesh lining are pleasant to the touch. The soft shell jacket has been specially designed to perform covert operations. The jackal helikon tactical jacket is very durable and resistant to wear. He is not afraid of difficult weather conditions. When developing the project, the creators decided to preserve the appearance of ordinary outerwear. 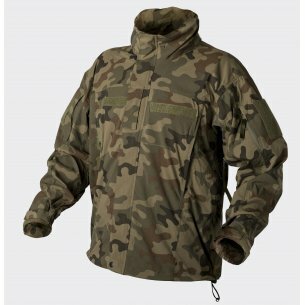 Jacket / sweatshirt helikon tex jackal is comfortable and versatile for military service in cold and temperate climates. Men's sweatshirt helikon tex jackal has no external military signs and therefore allows you to effectively hide the user's identity. Thanks to the civil design and the proper placement of internal and external pockets, the QSA function is ideal for performing activities in an urban environment. No Velcro strap gives the jacket a casual appearance, hence the possibility of working under cover. A soft, durable, quick-drying, breathable, two-layer hoodie helikon tex jackal combines everyday practicality with a sporty cut without restricting freedom of movement. Designed for use in special units, it also functions perfectly during mountain trips. The sweatshirt on the inside is made of hypoallergenic fleece, which is also an unfavorable environment for mites, fungi, molds and other microorganisms. These advantages make the jack jackal jacket extremely user-friendly. The sweatshirt described has a great ability to maintain a comfortable body temperature, it has insulating properties even when wet. Sweatshirt helikon tex jackal does not restrict movements, but it keeps its shape well, does not shrink and does not stretch.